Since I've become a milk tea addict, I just had to try Chatime. 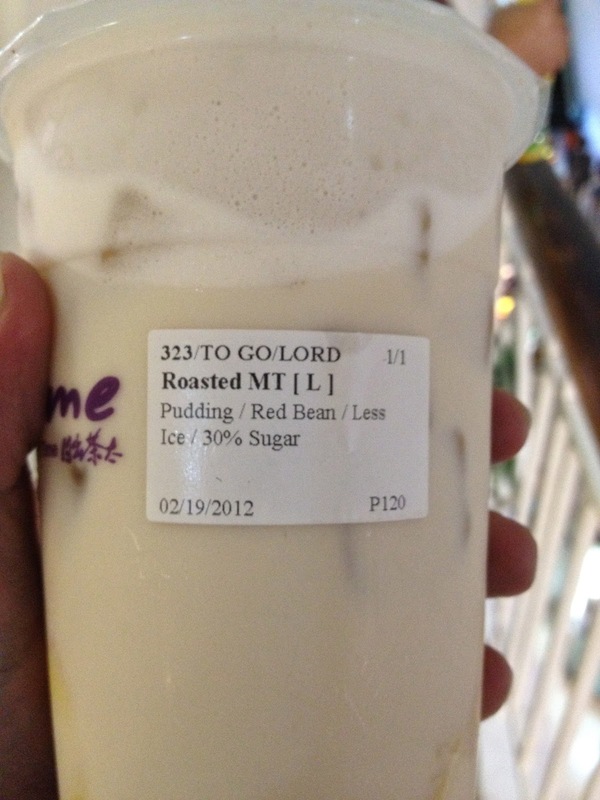 It's a milk tea outlet that you can find on the bridge way between Landmark and Glorietta. This location is so good for Chatime's business because it just has a naturally high foot traffic. In fact - every time I try to buy from Chatime - there's a long queue of people trying to order this milk tea - so I decide not to try it. Today - I had a little bit of time to spare and I waited for my turn. 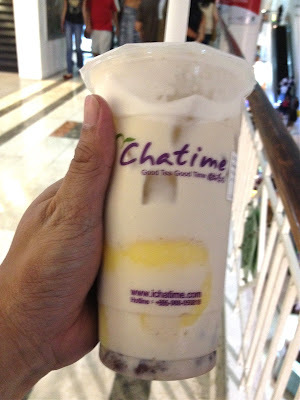 Chatime is from Taiwan. It's tagline is Good Tea Good Time. To be able to compare it with the other Milk Tea outlets (Serenitea, Happy Lemon, Happy Fanshu, Bumble Tea ) - I ordered my favorite: Roasted Milk Tea with Egg Pudding and Red Bean. I originally thought that Chatime's price is lower than most of the other outlets. I was wrong. It is as expensive as the other Milk Tea stores I tried before. My order is 120 pesos. My verdict - Chatime is delicious. However - with the same price and with such a long queue --- I will just drive over to Jupiter for Serenitea or to Powerplant mall for Happy Lemon.